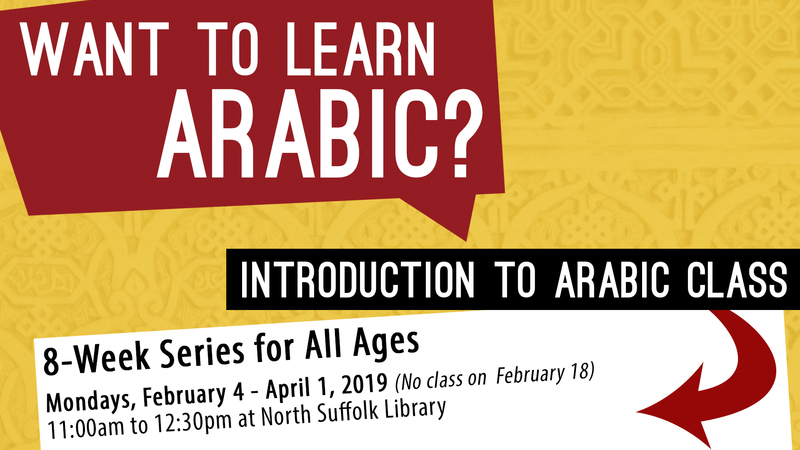 Join the library for an 8-week series introducing attendees to the Arabic alphabet and sounds. Families welcome. The instructor for this class is Hanein, a native Arabic speaker from Jordan, where she received her degree in speech and language pathology. She has a passion for teaching and is excited to share the beauty of the Arabic language with the community.